So far have you skipped Bansko as a possible summer holiday destination because you believe that the town is interesting only in the winter season and then only for skiers? There is no dispute that Bansko is our most popular ski resort but the small town does have something to offer its guests outside this season, too. You don’t believe it? 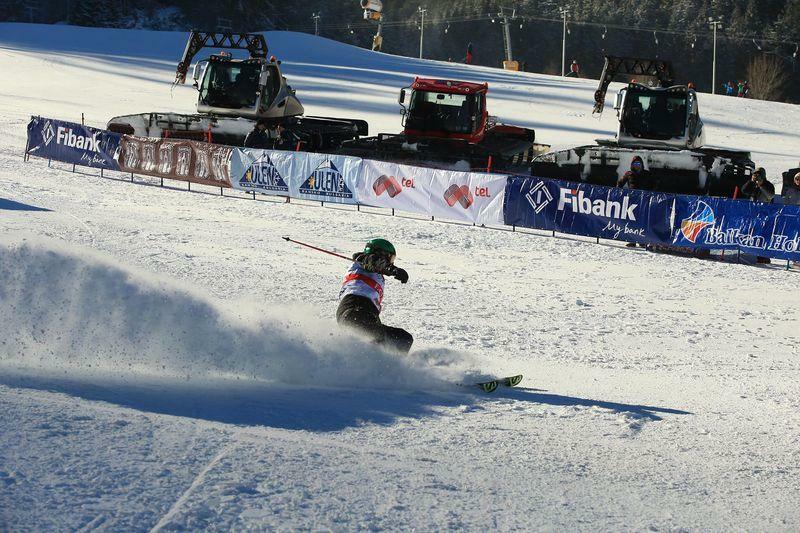 Let us see what Bansko can offer you in terms of entertainment and events while you are resting there. With the beginning of December and the greatest students’ holiday approaching, we cannot but start with the biggest gathering of students from all over Bulgaria in Bansko. Why Bansko? Well, because it is exactly on the 8th December in Bansko that the biggest and craziest student parties take place. And no student would miss out on such a party, would they? So if you are students and you have not booked hotels in Bansko yet to celebrate your holiday with your fellow-students… It’s a pity but you will find it a little hard to discover a free hotel for 8th December. This resort town is the most sought after place for celebration by students not only from Bulgarian universities but also from neighbour countries. Hotels in the town are full to bursting at the beginning of December and entertainment activities are countless. Taverns, luxury restaurants, bars, discos… Students can find all that they may wish for their holiday exactly in Bansko. We cannot but mention the beginning of the ski season in the small town as it is an event expected with great impatience by all those who adore skiing down the white tracks. To be not only some of the first who can take part in the celebrations for the start of the ski season but some of the first to race down the tracks is a privilege and a great pleasure. We think that a short (or not so short) pre-Christmas holiday in one of the Bansko hotels in the middle of December will be of great appeal to you. Even if you do not ski, the presence of this annual event itself and the euphoria that it brings will leave unforgettable memories in you for a lifetime. Yes, Bansko is also one of the most desired holiday destinations exactly for Christmas. Legends are told about the Christmas holidays organized every year by Bansko Municipality. If you do not believe it, arrange a Christmas holiday in Bansko 2017 and see for yourself. At this time of year, every evening, various open-air events are organized in the town, the hotels bathe in Christmas lights, and the taverns… the taverns offer homemade dishes so delicious as to make you long for more. If you miss Christmas holiday in Bansko 2017, you can meet the new year in the city and as early as the next day enjoy the kukeri procession held every year exactly on 1st January. 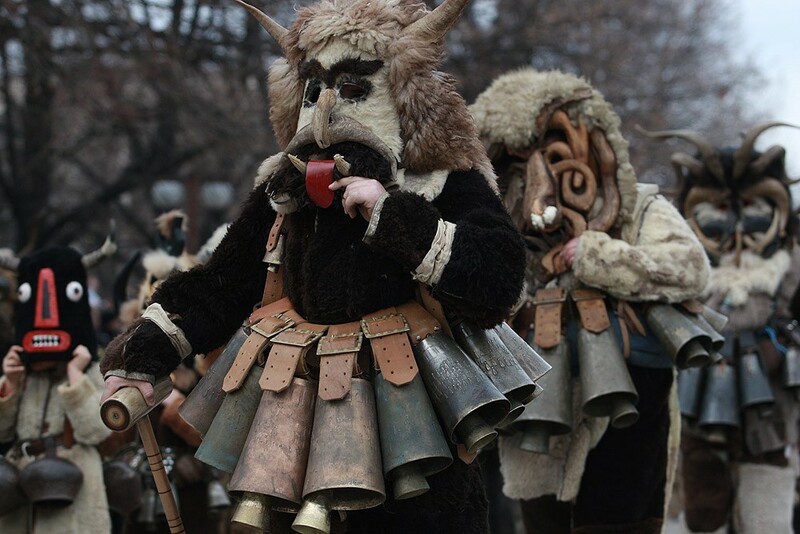 On the first day of the new year, kukeri from far and near come to the town to “drive evil spirits away”. The kukeri festival continues all day long, and at the end of it there is always a nimble folk dance that you can join and have fun at large. To prevent you from saying that so far we have only been introducing you to winter events, here is what Bansko offers in the rest of the seasons. Bansko Jazz Fest is one of the biggest events during the summer months, which you can enjoy while resting quietly and peacefully in one of Bansko’s hotels. 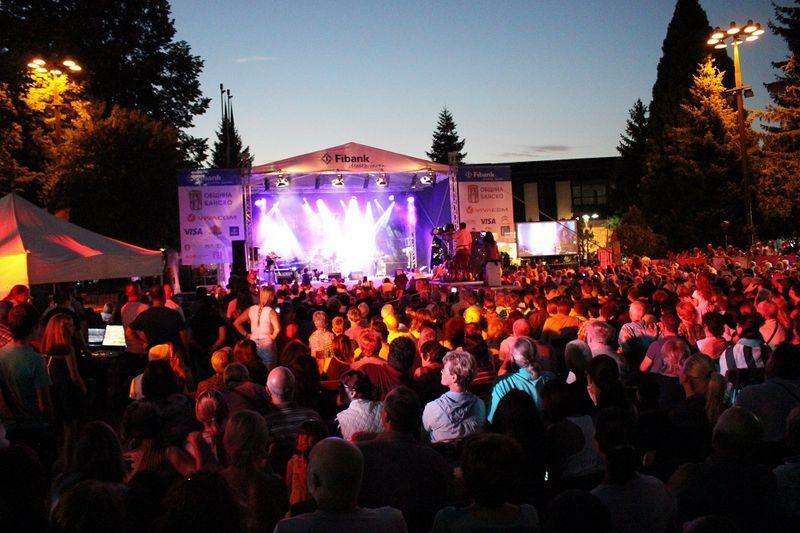 The International Jazz Festival is held every year in August and has turned into one of the town’s emblems. Bulgarian and world jazz performers and formations party for several days on open stages, and Bansko welcomes jazz lovers from all over the world. And should you wish to combine two musical events in one holiday, you can enjoy the next annual event: Basnko Opera Fest. Even if you have never been to the opera, it is enough to visit one of the open stages during the opera event in the town to make you want more, and more, and more… The opera festival is held in the small town for the sixth year in a row and this event gathers the most prominent stars of the Bulgarian opera art on one stage. You think that July is time for the sea and cannot even get the idea that the mountain also has something to offer you? Well, if you love theatre but never have time left to go to a theatre play, and if you are staying on holiday in one of Bansko’s hotels in July, you will be able to take part in the annual summer theatre holidays held in the town. You will hardly refuse to enjoy the life play of our incredible actors and see some of the most talked-about theatre performances, will you? The holidays of the Bansko folklore, traditions and cuisine have been held for almost three decades yet and believe it, if you are in Bansko at the time they are held (17th to 24th May) you will experience something extraordinary. In the context of this event, you can try some of the most popular dishes of the famous Bansko cuisine, you will hear various musical performances, you will be able to get to know the history and the landmarks of the town… There are numerous cultural events, exhibitions, and thematic evenings organized during the holidays. 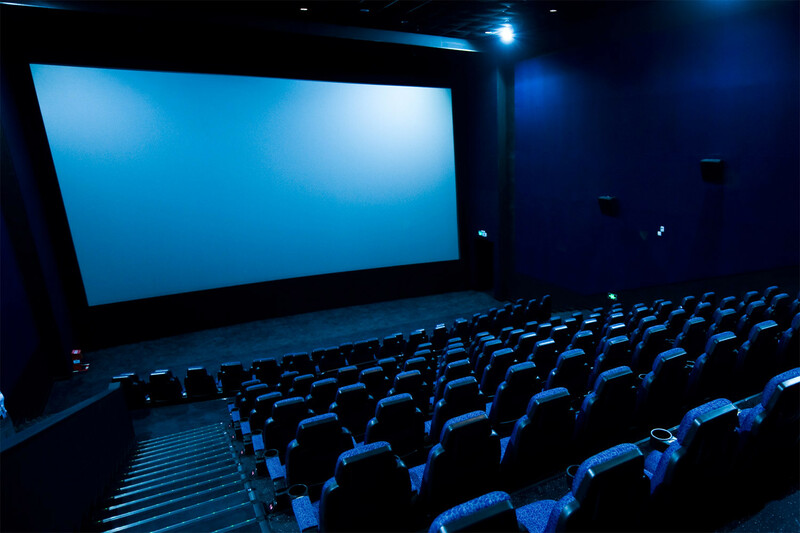 This event is held in the second half of July and is part of the International Bansko Film Fest. During Summer Cinemania, under the stars, you can enjoy some of the best films dedicated to adventures, mountains and extreme sports. If you love pop music, Bansko Beat will certainly appeal to you. This event is annual, held in July at the central Bansko square. Bansko Beat is traditionally taken part in by popular Bulgarian performers, whose fans you are for sure. Bansko is a town not only with ancient history and beautiful nature but also a town where traditions are kept. This is why everybody looks forward to the Bansko craft days – the locals, to show what they managed to preserve as crafts, and the guests of the town, to get immersed in the magic of the craftsmen’s art. If you choose to go on holiday to Bansko in the summer (from June to as late as the beginning of September) you can get to know, from a close distance, crafts like knitting woolen socks, embroidering tapestry, making souvenirs, wood carving, knitting with a crochet-hook, weaving, etc. If you fancy learning some of the crafts demonstrated, you can do it with the utmost ease and go home not only relaxed but also as masters of some of the traditional Bansko crafts. Autumn is not only one of the nicest seasons for a mountain holiday but also the time when the Festival of Balkan Music is held in Bansko. Only imagine… you rest in one of the coolest hotels in Bansko, during the day you see landmarks, climb mountain peaks or just relax by the swimming pool and when the sun begins to set, you head for the centre of Bansko, where the most outstanding Balkan performers give concerts for you. Where else will you be able to enjoy the compound rhythms and have fun in the open wholeheartedly. On 5 November 1912, in the Holy Trinity Church, Peyo Yavorov announced the freedom of Bansko… and since then, every year on this date, Bansko’s citizens celebrate the holiday of their town. The event is marked with celebrations, concerts and a lot of music. This is one more annual event which has turned into an emblem of Bansko. The film festival dedicated to the mountains, adventures, and extreme sports is held in November and gives you the chance to see the best films dedicated to the mountains. This international event has been held since 2008 and attended by youths and adults from all over Bulgaria and abroad. The goal of this festival is to encourage art in all its forms. So if you are on holiday or planning to celebrate Students’ Holiday in Bansko, you can also attend the Morning Star art festival, which is held at the beginning of December. Yes, Bansko is our most popular winter resort and the interest in it at this time of year is great but the small town can offer its guests a lot interesting annual events worthy of attention. The town is also one of the favourites for celebrating great holidays like Easter, Students’ Day, Christmas and New Year. As we mentioned in the beginning, students adore the town and every year as the 8th of December approaches, head for Bansko to celebrate their holiday. Christmas holidays in Bansko are preferred by both the Bulgarian and the foreign families coming to the town as it can offer them a wonderful atmosphere, great hotels, incredible food and endless white tracks. But even if you have plans for this Christmas and New Year and miss the holidays in Bansko in winter, the town has a lot to offer you throughout the year. By choosing Bansko for your spring, summer or autumn holidays, you will be able to enjoy not only the beauty and calm of the mountains but also some of the annual events held in this town.